Music should be A) fun and B) meaningful. Inspired by Odetta, the Kinks and church music, Good Diction is bold, wild rhythm-and-blues-grass. The band is uncompromising in the belief that music should be taken to logical extremes — the soft songs should be soft, the loud songs should be loud, the sad songs sad, and the beautiful songs beautiful. Good Diction is a testament to music-as-community. Each rehearsal begins with a meal and time to relax — the music has brought the band, friends, and families closer together. Good Diction plays regularly in Minneapolis, MN and has recorded four albums: The Queen’s English (2012), Good[er] Diction (2014), Victory (2016) and Benediction (December 2017). This show will feature the debut of NEW ORIGINAL GOOD DICTION MUSIC. 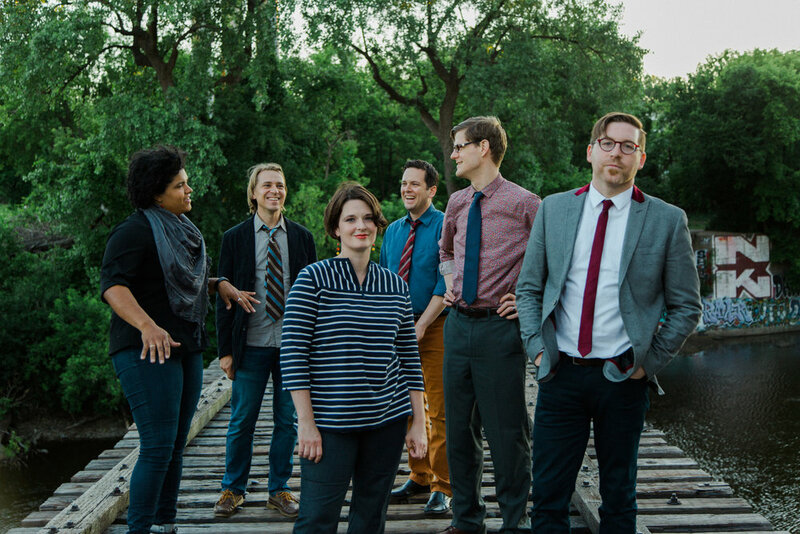 Church Traffic is a Dream-Surf-Folk-Rock band founded in 2017 by singer-songwriter Nate Moore in Minneapolis, Minnesota. The band’s debut album “Tension” was released in October of 2018.